I am 34 years old born and raced in LA. About 10 years ago I moved to Hong Kong. I love my life here. I would never move back to the US. I used to export all kind of electronics to the US and Europe until Adwords suspended my account. To be honest I feel kind of stupid having only relied on Adwords for business. My sales are down more than seventy percent since last week when I got suspended. I have built that business over the last 8 years. I am selling all kind of electronic accessories I source in Shenzhen. I do all the research and development and then outsource the production to mainland China. 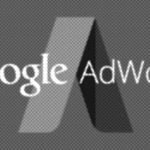 My business only works with Adwords, that was the only way how I managed to find my buyers in past. I do mostly wholesale to small and medium sized shops in the US and UK. The last couple of days I tried alternatives (Facebook, Bing and Yahoo). They were all a big disappointment. I did not make one sale, even I spend more than $1000 USD on campaigns there. This Adwords suspension is a real nightmare. I really feel treated unfairly by Google and Adwords. Whatever I did wrong, I deserve to know why I got suspended. We are all humans. Sometime we make mistakes, we can only learn from them if we are told what we did wrong. Just imagine you go to University and you make one little mistake, after they decide to ban you for life from ever studying again. Would not that be really unfair? 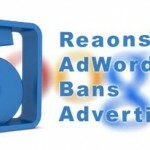 That’s how I feel about Adwords, they banned me for Life from ever using Adwords again, without giving me any reason. I have family to take care of, my children already going to school. I have no idea how I can pay for all that without the money I normally make off my business. Adwords can suspend my account, but I am not a guy who just gives up easy. I will do whatever is necessary to get my business back and start making money again. I already tried to several times to open a new Adwords account. Until now I was not to lucky. I always got my account banned within days. The Ads did not show most of the time. Inside the Adwords Control Panel they always showed that ‘Pending Review” message. I am not sure what went wrong, but I assume there were able to link my old Adwords account with the new account. I am just doing some testing to see how they were able to connect the banned account with new account I created. It might have been my IP address or some other things Google might store on my computer. I will continue doing research on why Adwords suspended my account as well on how to get back. I will keep you updated. Reasons why Your Adword’s Account Has Been Banned. What To do Next?